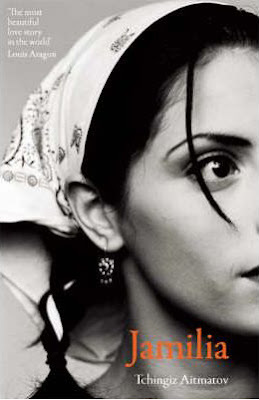 Yesterday I read a beautiful novella, Jamilia, by Kyrgyz writer Chingiz Aitmatov. Born in 1928, he lived during times of great upheaval as his native, remote land was being transformed into a republic of the USSR. Aitmatov worked as a shepherd, tax collector and engineer's assistant in Kyrgyzstan. He studied animal husbandry then switched to literary studies at the Maxim Gorky Literature Institute in Moscow. After graduating he worked at Pravda, the leading newspaper of the Soviet Union and mouthpiece of the Communist Party. Jamilia was written in 1958 to great acclaim. The writer Louis Aragon translated it into French in 1959 calling it "the world's most beautiful love story" and introduced Aitmatov's works to readers outside the USSR. Set during World War II on a collective farm producing grain for the army, it is a coming of age story narrated by Jamilia's younger brother-in-law Seit. Seit's descriptions transport the reader to the huge expanses of valley, sky and mountain in Central Asia, and the remoteness and stillness of countryside untouched by our fast, modern world. Although the book recounts the love between Jamilia and a crippled young man while her soldier husband is away at the front, for me the true love story is the deep bond between the writer and his homeland. 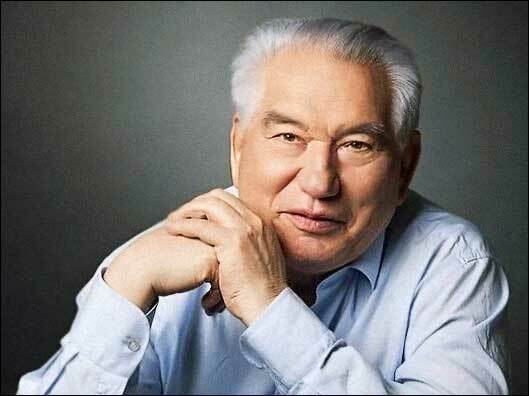 Chingiz Aitmatov was an advisor to Mikhail Gorbachev and later became the Kyrgyz ambassador to the European Union. He died in 2008. I've now ordered another of his books, The Day Lasts More Than a Hundred Years, and can't wait for its arrival. You can read more about Aitmatov's prose, plays and his remarkable life at his Russiapedia entry.